Nebulizers are a drug delivery device used to administer medication in the form of a mist inhaled into the lungs. Nebulizers are commonly used for the treatment of cystic fibrosis, asthma, COPD and other respiratory diseases. Nebulizers use oxygen, compressed air or ultrasonic power to break up medical solutions and suspensions into small aerosol droplets that can be directly inhaled from the mouthpiece of the device. The definition of an aerosol is a "mixture of gas and liquid particles," and the best example of a naturally occurring aerosol is mist, formed when small vaporized water particles mixed with hot ambient air are cooled down and condense into a fine cloud of visible airborne water droplets. Read more here. 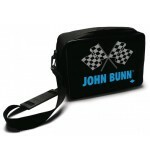 Bag For Sport Nebulizer & Express Sport Neb. 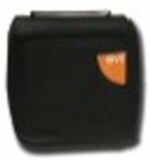 Bag For Sport Nebulizer & Express Sport Neb. Each ..
Neb-A-Doodle Drawing Nebulizer Each ..
Neb-A-Doodle Drawing Nebulizer w/Carrying Case Each ..
Neb-U-Tyke Garage Case For Speedster Neb. 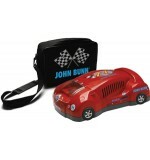 Neb-U-Tyke Garage Case For Speedster Neb. Each ..
Neb-U-Tyke Speedster Pediatric Nebulizer ..
Nebulizer Full Kit 50/Case ..
All-In-One Compressor and Nebulizer System with the TruNeb® Reusable Nebulizer Kit. This Mini Compressor and Nebulizer System is an All-In-One Nebulizer and Compressor System. The Mini Nebulizer System is designed to be ultra compact making it exceptionally portable. The Mini Nebulizer Syste.. 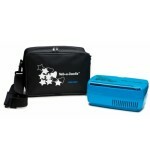 Sport Neb Express Nebulizer Berry Each .. 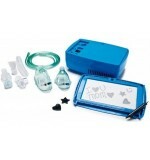 Sport Neb Express Nebulizer Gray Each .. 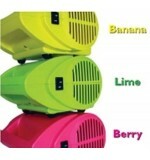 Sport Neb Express Nebulizer Lime/Green Each ..
Vixone Neb. w/Dragon Mask & Tubing Each ..